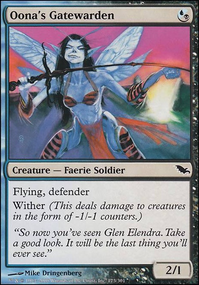 As good as Mistbind Clique is, with so few faeries have you had problems casting and championing another faerie? 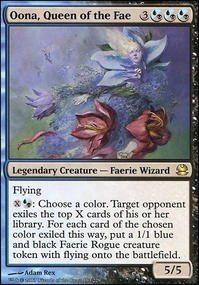 I haven't tested this but if you want to be mean I think Mistbind + Faerie Impostor + Quickling or any other creature that requires you to return a creature to your hand (Ex Aether Adept) but Quickling is the best since it has flash. So for 6 mana you can lock out an opponent. During opponents upkeep have Have Mistbind champion the Impostor, then you can flash in Quickling to return the Mistbind returning the Impostor to the battlefield which then returns to Quickling to repeat next uptap phase. Looks like a pretty good start. I feel like the general gameplan with this deck is to lay down some evasive flyers and then get out buffs on T4/5 and win in the air. 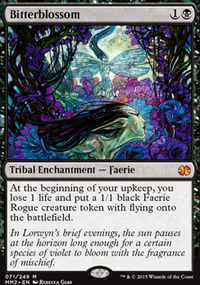 Cut Faerie Harbinger, Faerie Trickery, Nectar Faerie, Oona's Gatewarden, Final-Sting Faerie and Thieving Sprite (18 total cards). These are all cards that either don't really further the game plan, have too high of an opportunity cost, or can't attack. That should put it at 60 cards. The idea here is to try to land creatures on turns 1 and 2, then hold up counters or Spellstutter Sprite T3 and then start dropping buffers to beat down in the air. Then you keep the handful of spot removals in case your opponent resolves a big flying/reach creature before the game can get closed out. If you want to move in a somewhat more controlling direction, 1-2 copies of Bident of Thassa might be worth considering. In a weenie flyer deck, it can help ensure that you're drawing enough gas to rebuild if a board wipe happens. Fiplo on Hi, Inalla Mays here! I'm currently looking for upgrades for the Wizards precon deck, so this might help you. Panharmonicon only works if you have Inalla, Archmage Ritualist in battlefield, so it might provide only limited use. Mirror Gallery makes some of the precon legendary wizards playable, so you might want to look into that. Fatespinner might be an useful cheap wizard, though it doesn't provide any utility with Inalla, Archmage Ritualist, but it can be used for other wizard triggers. Dualcaster Mage Is pretty good card, which allows you to make 2 copies of an instant/sorcerry. Ashnod's Altar and Bloodline Necromancer makes infinite mana combo, so you might want to look into some good mana syncs, like Devil's Play. 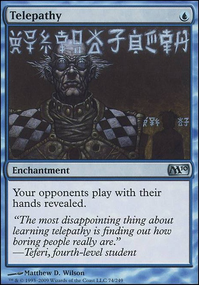 Vedalken Orrery and Leyline of Anticipation are pretty good, since it makes all your wizards instant speed and allows you to use bounce utility as counters. Cyclonic Rift and Vandalblast are some good board clear cards. 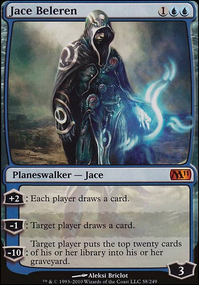 Disciple of Bolas gives good utility with Inalla, Archmage Ritualist. Rite of Replication gives good utility with all ETB cards. 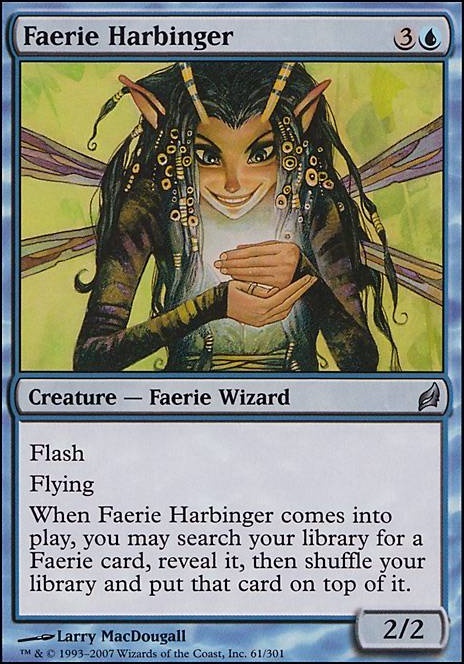 Faerie Harbinger allows you to fish out Puppeteer Clique and Inspired Sprite, even better if you get Mistbind Clique. Trophy Mage allows you to fish out two artifacts, which might help you with mana fixing. Pit Keeper can give you 2 creatures from your graveyard. Aven Fogbringer can help you fight with players that have good ramp. Vedalken AEthermage worth it just for the wizardcycling. Gem of Becoming is always good choice for grixis deck. All do damage to the face, a bit more than half can aim for creatures too.